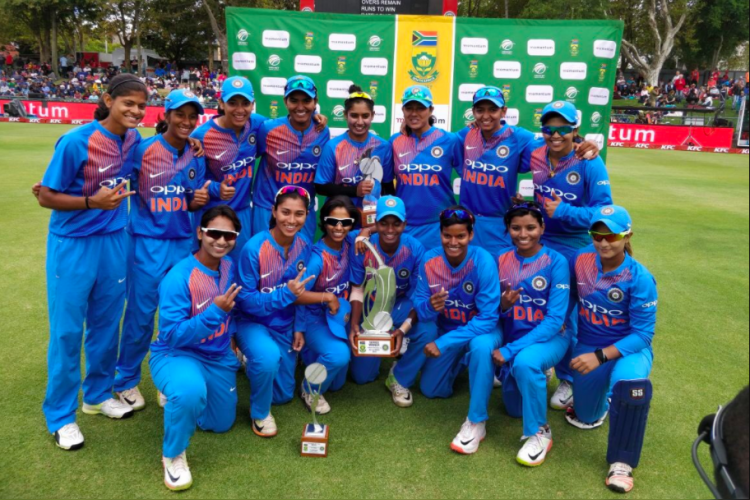 Indian Women beat South Africa by 54 runs to clinch T20I series by 3-1. India registers a double series win on a single tour of South Africa and becomes the first team to achieve this feat. Mithali Raj and teenager Jemimah Rodrigues empower India to put 166 runs target on board but SA only managed to score 112 in 18 overs. The credit goes to Shikha Pandey and Rumeli Dhar, both took three wickets.